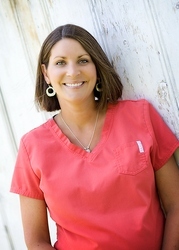 Kelly has worked in the dental field for 5 yeas but has 22 years experience in the healthcare field. Kelly enjoys getting to know our patients to better assist them with scheduling and understanding their treatment needs. She enjoys playing softball, snowmobiling, camping, and spending time with her family. Kathy has 30+ years of experience with insurance management, communication skills, and problem solving techniques. She enjoys camping in the mountains and warm beach destinations. She and her husband enjoy their grandchildren and entertaining family and friends at their riverside home in the Entiat Valley. Lucy joined our dental team June 2018. She enjoys getting to know new patients. She was born in Mexico and moved to the Wenatchee Valley at the age of 7. She graduated from Wenatchee High School. She enjoys spending time with her husband and 2 boys. Natalie graduated from her hygiene program at Yakima Community College in 2003, and has worked full-time in our office for the past 15 years. She enjoys spending time with her husband and 2 children. Her family enjoys camping and being outdoors. Cammy earned her degree from Eastern Washington University in 1991 with a BA in Dental Hygiene. After working in a dental office in Seattle, she moved back home to Wenatchee and worked for the late Dr. Stephen Talbot and Dr. Gundersen. Cammy enjoys attending her children’s activities, hiking Saddlerock and loves to be active outdoors no matter what season. Shela graduated in 1992 from Eastern Washington University with a BA in Dental Hygiene. She has lived in Cashmere since 2003 where she has raised two daughters. Shela loves to hike, camp, travel and when she finds the time-Relax! 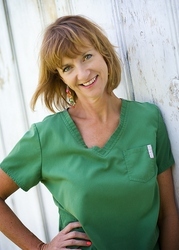 Julie has been a Dental Assistant for 26 years. She loves her job and the people she works with. She enjoys finding something to laugh at everyday, playing outdoors, hiking with her golden retrievers, boating, photography, and having fun with her family. 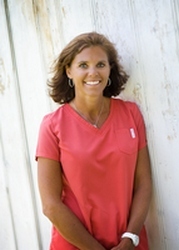 Laura has been a Dental Assistant for 20 years. Laura is from the Chelan area. Laura loves her job and she enjoys hiking and riding bikes. Audrey joined our team Febuary 2018. She is currently attending Wenatchee Valley College. She enjoys spending time with family and friends.